Thirty Day Challenge PDF Transcripts are also available below each video. Make sure you’ve installed the Thirty Day Challenge Toolbar. It’s a good idea to go through and catch up on any Preseason training you may have missed – you can do that from the Preseason Catch Up Page. A great place for getting niche ideas is Amazon’s Magazines and Newspapers area. One way to begin keeping track of information relevant to your niches is to search through Google News and use Google Alerts to create feeds for your Google Reader. Today’s video shows several extensions (or add-ons) that we’ll be installing in Flock. These extensions add certain functionality to Flock and alow us to leverage Flock for internet marketing purposes. Before we get into the video and the add-ons – could I just say something? If you haven’t signed up for the thirty day challenge yet – please do. The training really is given freely, there is no obligation to buy anything after you sign up – not ever – and I will continue to post my own version of notes and tips here. But there is so much more available on the forums and within the thirty day challenge community, you’re missing out on something if you’re not a part of it. I would call this blog my own version of “Cliff Notes” for the 2008 Thirty Day Challenge. I used Cliff Notes for certain subjects in high school and college – they served their purpose, I could get a passing grade on those tests. But I know I missed out on the full experience when I took that shortcut – I cheated myself out of fully learning something by relying on the Cliff Notes alone. This extension allows you to view search results from other parts of the world – this will be something you can take advantage of later in the thirty day challenge. 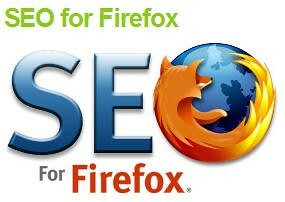 SEO stands for Search Engine Optimization – This is a pretty deep tool. You’re able to get a lot of interesting data by using this add-on. Install it for now, but leave it off. Ed mentions the red lines-no follow tags in the video. For now, it’s not a big deal – he’ll show us how to use it when the time is right. Another tool that is helpful in niche research – SearchStatus. This is a handy way to post to Twitter – with fewer clicks. Instead of interrupting your work flow – you can type directly into your address bar and post that text to Twitter. As a bonus, it shortens URL’s for you too. The 30DC Toolbar is a big time saver for Thirty Day Challenge Members – it’s not critical that you install it – but it does give you access to a lot of well thought out tools specific to the Thirty Day Challenge. That’s it for now – feel free to leave us a comment below… Then, if you have kids – go give them a hug. And if you are a kid – go hug your parents….Keep them guessing.